No, I didn't go to any Arab country (yet). This mosque is here in Singapore, and in front of the building the name of it was in English, Arabic and Thai. No, no me he ido a ningun pais arabe (aun). 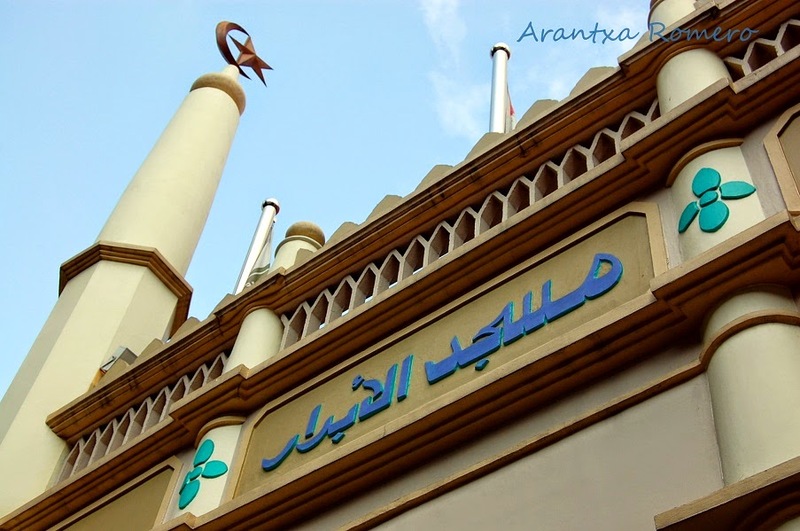 Esta mezquita esta aqui en Singapur, y en la fachada esta el nombre en ingles, arabe y tailandes.